FIRST, blogs increase the chance that you’ll show up in search results. When you write a blog post, you put more words on your site. The more words on your site, the greater the chance that some will match a query being typed into Google. If the words on your site match the words in the query, you’re eligible to rank. SECOND, Google likes sites with more and fresh content. Blogging on a regular basis shows Google you’re producing content on a regular basis. Make Google happy and you’ll rank higher! FORTH, blogging builds your site’s authority. Google recognizes individual authors and keeps track of where and how often they publish. It can tell when respected people and publications like, bookmark, link to or share your content. That builds authority. Authoritative sites rank well on Google. FIFTH, blogs make your site sticky. What do I mean by sticky? Sticky means visitors view more pages and spend more time on your site. The more pages viewed and time spent on site signals popularity to Google. The more popular your site is perceived to be, the higher it will rank. SIXTH, in my experience, blogs help business owners fine tune their business strategy and plans. Try and write a blog post about your business’s unique value proposition (the thing that’s supposed to make you stand out from the competition). Not easy is it? When you write about yourself or your business, gaps in your thought processes, current knowledge and/or expectations are exposed. Uncomfortable as it is, it helps you see your business through the eyes of others – peers, competitors, prospects, customers and/or investors. The process of writing helps clarify your thoughts. Corny as it sounds, blogging is enlightening. SEVENTH, there’s clear evidence to show blogging helps businesses achieve their goals. According to Hubspot, an inbound marketing software platform for businesses, “the average company that blogs generates 55% more website visitors, 97% more inbound links, and 434% more indexed [findable] pages”. EIGHTCH, it’ll take less time than you think. Although I just told you quantity is important, persistence and consistency is even more important when it comes to blogging. You don’t have to blog huge quantities of posts and you don’t have to blog every day. You just have to create a pattern and stick to it. Too many small business owners give up too quickly. And LAST but not least, blogging connects you to your best prospects and customers. It gives them an opportunity to get to know you on a personal level. People do business with those they know, like and trust. A blog gives visitors the opportunity to discover who you are, learn how you can help them, and trust that you’ll follow through on your commitments. SO WHY BLOG? 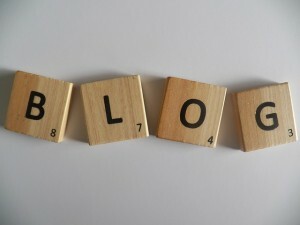 Small business owners should blog because it makes sense. It’ll earn you more exposure, traffic and conversions. It will help build a loyal base of customers and followers who will have you top-of-mind when a related need arises.